Eventogy was built to ensure you can leave work on time on a Friday. 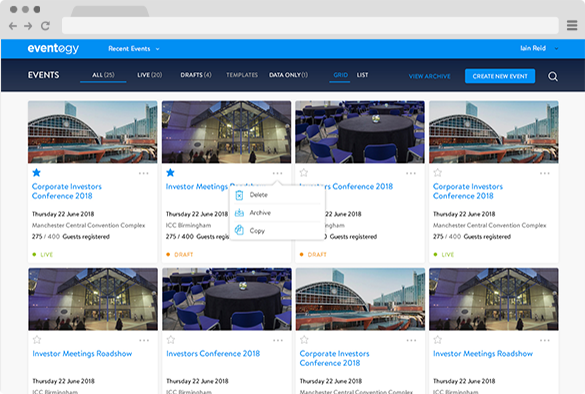 With a comprehensive suite of powerful tools at your disposal, we've built simple, clever features that allow you to manage complex meetings and events end-to-end. 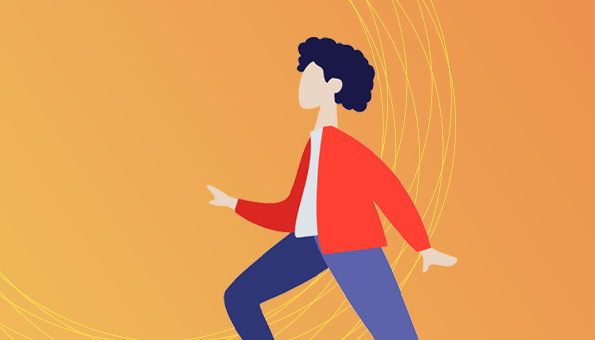 Eventogy's platform empowers Event Managers by providing them with an end-to-end collection of powerful features to quickly and efficiently launch event campaigns. Create and launch corporate branded websites within seconds of setting them up with our intuitive interface. Fire off effective email campaigns from our email builder. 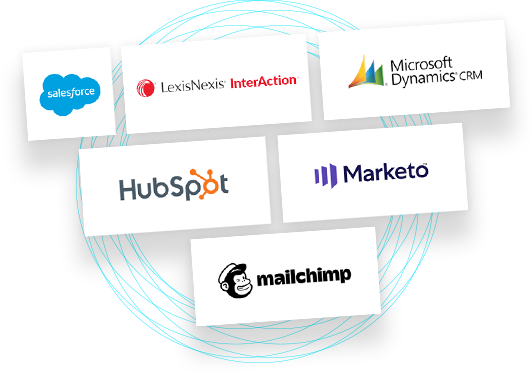 Remove the roadblocks with bespoke integration options that synchronise event data with that of your own CRM systems. And much more. 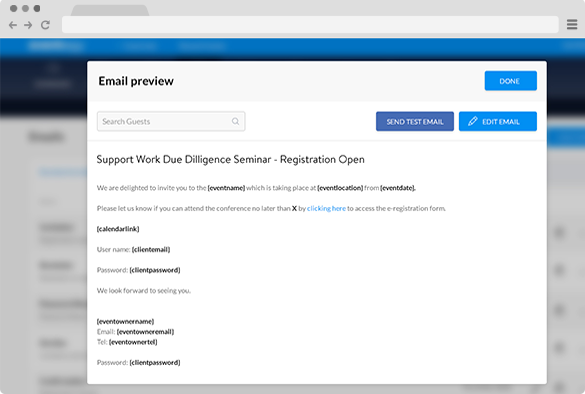 Build complex, journey driven websites that incorporate registration tools, agenda pickers and event information pages from scratch from our easy to use content management tools. Or simply duplicate an existing, templated event to be live within seconds. 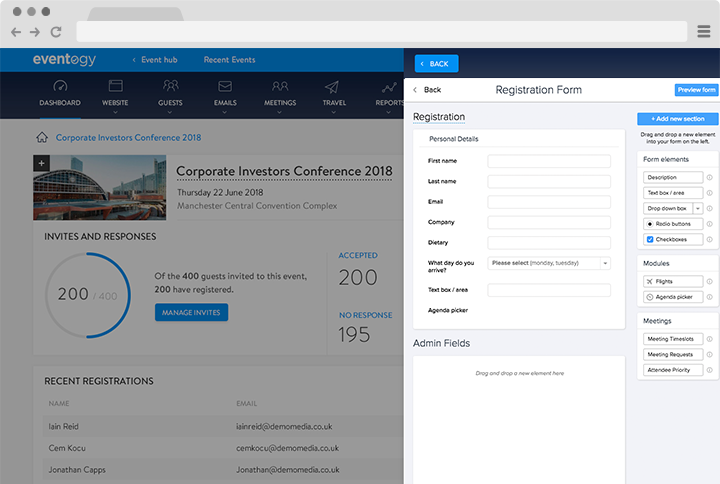 Eventogy's powerful guest list manager is a feature-rich CRM tool that securely manages your client data whilst providing you with simple and elegant management tools which allow fluid communication and promotion of your event. 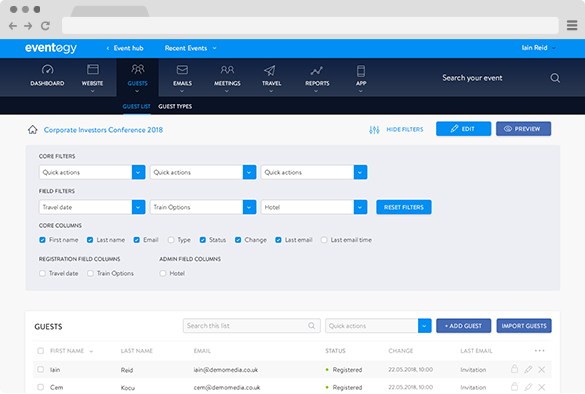 Send 1000s of emails at once and track statuses and open rates in real time using Eventogy’s powerful email marketing engine which gives event organisers full control of their marketing and communication. 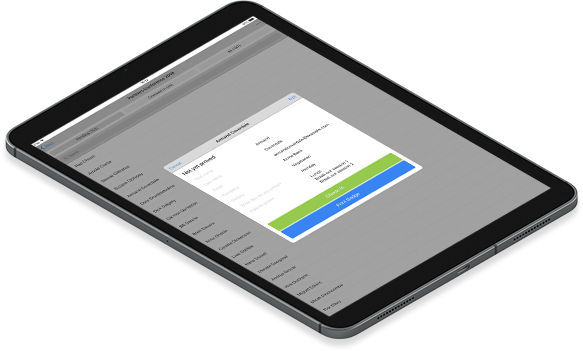 Manage the requesting and scheduling of meetings between parties at your event with the Meetings Manager tool. A smart algorithm automatically sorts meetings saving you days of spreadsheet work! 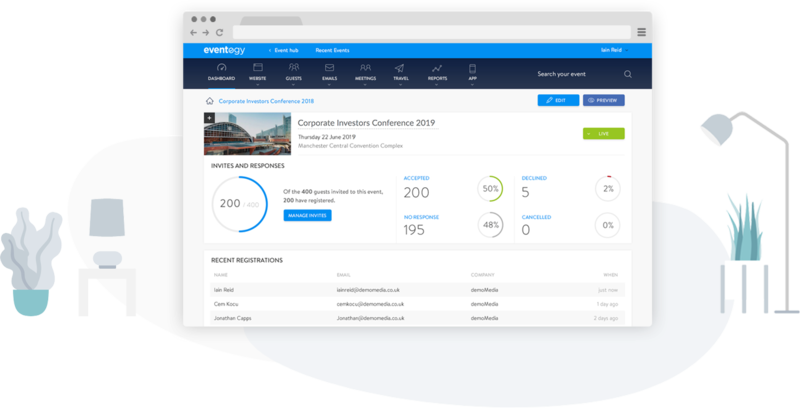 Eventogy's intuitive dashboard gives you an instant snapshot of your event and complete control at every stage of your attendee journey. At every stage, Eventogy provides you with the data needed to track the success of your events. Eventogy is simple to use, allowing you to run your events independently, but with unrivalled telephone and email support, we give you the peace of mind by providing world class support... ask any of our happy clients. "The best platform by far on the market. Easy to use and the support you receive is second to none." Imagine using a software application that has been designed by a team of creatives that puts user experience at the forefront. 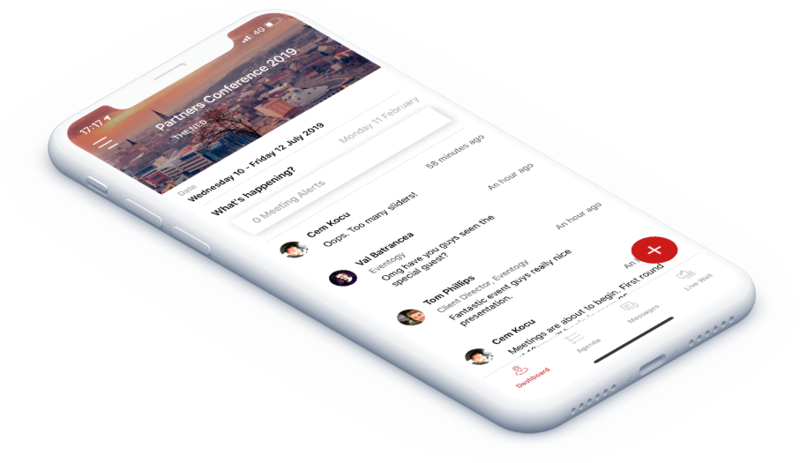 That's the simplicity all our users talk about and the summary of our continued efforts to make Eventogy the easiest platform to use on the marketplace. 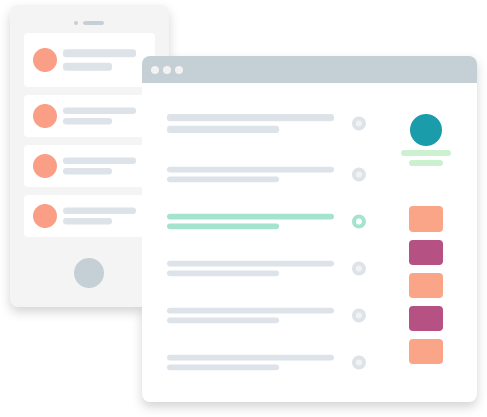 Create and manage post-event surveys from within the Eventogy platform. 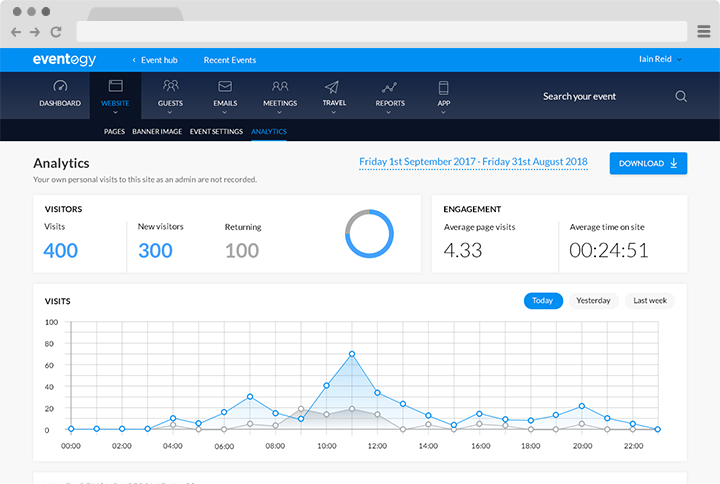 No need to use any other applications with response reporting in real time giving you true insight into your event. Eventogy provides secure integrations to your current environment removing any manual tasks of data transfer. We work with your IT and business owners to ensure the highest level of security is met. 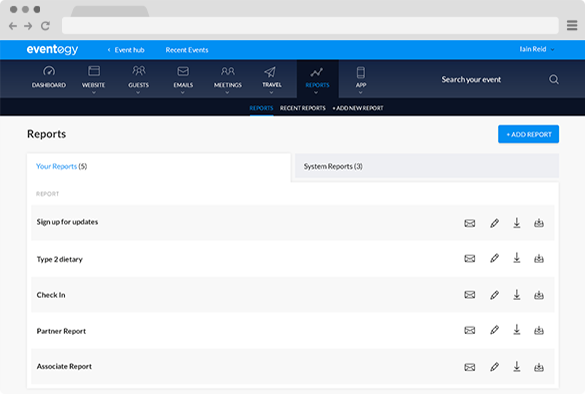 Eventogy’s comprehensive reporting feature allows you to quickly report on any data from your event, allowing you to generate, schedule and email your own reports... or we can do it all for you. 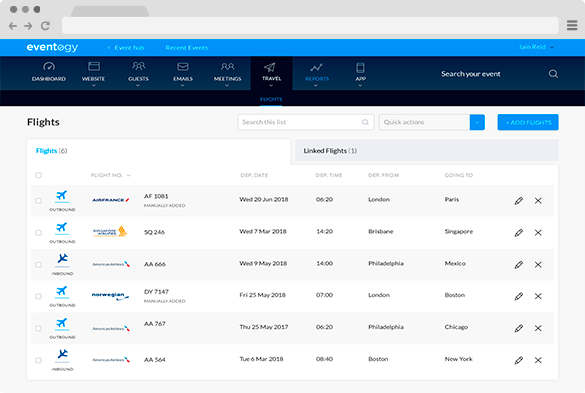 Eventogy's flight manager is a useful module which automates flight data through an efficient flight tracking API, giving your attendees live, accurate flight and travel choices. 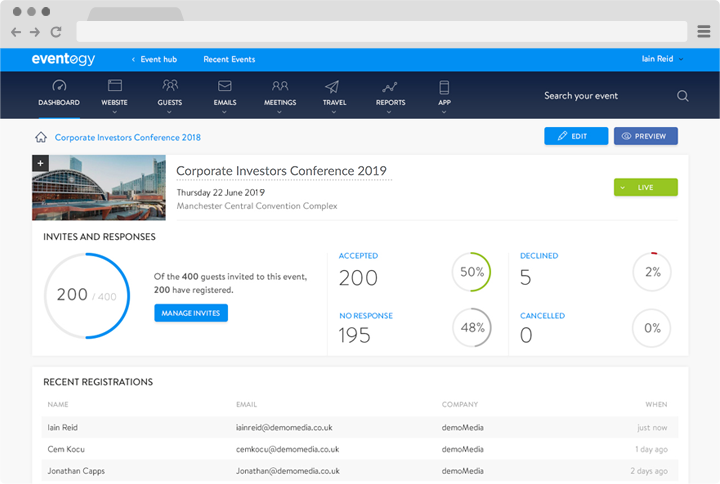 Using Eventogy's powerful admin platform, event organisers can create event apps, packed with engaging and intuitive features, as a source of information, delegate participation and a way to communicate. Custom built, branded event apps provide the ultimate professionalism for any event. 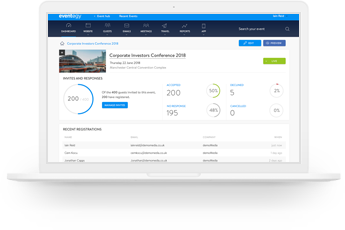 Using Eventogy's Mobile Host App, guests can be checked in at the door in a matter of seconds providing delegates with the best possible check-in experience. Quick-print badge printing and QR code scanning means queues to check-in will be a thing of the past. Interested in learning how Eventogy can help you create Events that shine? Get in touch today for a demo or trial.